Karličić V, Radić D, Jovičić-Petrović J, Lalević B, Morina F, Curguz VGć, Raičević V (2017). Use of overburden waste for London plane (Platanus × acerifolia) growth: the role of plant growth promoting microbial consortia. iForest 10: 692-699. Overburden waste dumps represent a huge threat to environmental quality. The reduction of their negative impact can be achieved by vegetation cover establishment. Usually, this action is complicated due to site-specific characteristics, such as nutrient deficiency, elevated metal concentration, low pH value, lack of moisture and lack of organic matter. Establishment of vegetation can be facilitated by inoculation with plant growth promoting bacteria (PGPB) which improve the physicochemical and biological properties of degraded substrates and make them more hospitable for plants. In this study we selected several strains based on the ability to produce ammonia, indole-3-acetic acid, siderophores and lytic enzymes, and to solubilize inorganic phosphates. This selection resulted in microbial consortia consisting of Serratia liquefaciens Z-I ARV, Ensifer adhaerens 10_ ARV, Bacillus amyloliquefaciens D5 ARV and Pseudomonas putida P1 ARV. The effects of PGPB consortia on one-year-old London plane (Platanus × acerifolia [Aiton] Willd.) seedlings replanted into overburden waste from Kolubara Mine Basin were examined. After seven months, inoculated seedlings were 32% higher with 45% wider root collar diameter and over 80% higher total dry biomass compared to uninoculated seedlings grown in Kolubara’s overburden. Inoculation resulted in higher amounts of total soluble proteins, higher chlorophyll and epidermal flavonoids content and higher total antioxidative capacity in the leaves. This study represents a successful search for effective PGPB strains and shows that microbial consortia have an important role in enhancing the growth of seedlings in nutrient deficient and degraded substrates such as overburden waste from open-pit coal mines. Positive response of London plane seedlings suggest that inoculation may help widening the opus of species for reforestation of post mining areas and speed up natural succession processes and recovery of degraded landscapes. Use of chrome azurol S reagents to evaluate siderophore production by rhizosphere bacteria. Biology and Fertility of Soils 12: 39-45. Ecology of Azotobacter in soils of the Palouse region: I. Occurrence. Soil Science 86: 57-62. Combination effect of pH and acetate on enzymatic cellulose hydrolysis. Journal of Environmental Sciences 21: 965-970. A rapid and sensitive method for the quantitation of microgram quantities of protein utilizing the principle of protein-dye binding. Analytical Biochemistry 72: 248-254. Urban plant physiology: adaptation-mitigation strategies under permanent stress. Trends in Plant Science 20: 72-75. Microbiology: a laboratory manual. Benjamin/Cummings Publishing Company, New York, USA, pp. 544. Lipopeptides as main ingredients for inhibition of fungal phytopathogens by Bacillus subtilis/amyloliquefaciens. Microbial Biotechnology 8: 281-295. A new optical leaf-clip meter for simultaneous non-destructive assessment of leaf chlorophyll and epidermal flavonoids. Physiologia Plantarum 146: 251-260. Screening of rhizobacteria for their plant growth promoting activities. KMITL Science and Technology Journal 8: 18-23. Inoculation of tree roots with plant growth promoting soil bacteria: an emerging technology for reforestation. Forest Science 43: 99-112. Evolution of the gyrB gene and the molecular phylogeny of Enterobacteriaceae: a model molecule for molecular systematic studies. International Journal of Systematic and Evolutionary Microbiology 52: 531-547. The combined effects of Pseudomonas fluorescens CECT 844 and the black truffle co-inoculation on Pinus nigra seedlings. iForest - Biogeosciences and Forestry 8: 624-630. The effect of plant growth promoting bacteria on growth and nutrient uptake of maize in two different soils. Applied Soil Ecology 36: 184-189. Mechanisms used by plant growth-promoting bacteria. In: “Bacteria in Agrobiology: Plant Nutrient Management” (Maheshwari DK ed). Springer-Verlag, Berlin-Heidelberg, Germany, pp. 17-46. Plant growth-promoting bacteria: mechanisms and applications. Scientifica 1-15. Plant growth-promoting bacteria suitable for the phytostabilization of mine tailings. PhD thesis, Department of Soil, Water and Environmental Science, University of Arizona, Tucson, AZ, USA, pp. 227. Influence of changed ecological conditions on occurrence of London plane (Platanus × hispanica Münchh.) anthracnose. Folia Oecologica 34: 1-8. Simultaneous phosphate solubilization potential and antifungal activity of new fluorescent pseudomonad strains, Pseudomonas aeruginosa, P. plecoglossicida and P. mosselii. World Journal of Microbiology and Biotechnology 25: 573-581. Potential of woody plants from a Tonglushan ancient copper spoil heap for phytoremediation of heavy metal contaminated soil. International Journal of Phytoremediation 25. The alleviation of reforestation challenges by beneficial soil microorganisms. Reforesta 1: 238-260. Effects of root inoculation of plant growth promoting rhizobacteria (PGPR) on yield, growth and nutrient element contents of leaves of apple. Scientia Horticulturae 114: 16-20. Tapping of native Bradyrhizobium and Ensifer sp. diversity for functional traits in soybean (Glycine max (L.) Merrill). Legume Research 37: 651-657. Application for rhizobacteria in transplant production and yield enhancement. Acta Horticulturae 631: 219-229. 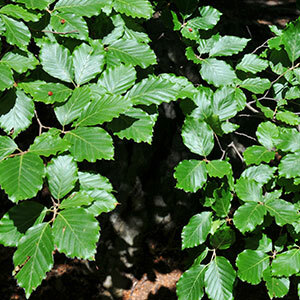 Foliar diseases of broadleaved trees. In: “Infectious Forest Diseases” (Gonthier P, Nicolotti G eds). CAB International, Wallingford, UK, pp. 488-518. Applications of free living plant growth-promoting rhizobacteria. Antonie van Leeuwenhoek 86: 1-25. Biological control of pest and diseases using fluorescent Pseudomonads. In: “Basic and Applied Aspects of Biopesticides” (Sahayaraj K ed). Springer, Dehli, India, pp. 17-30. Effect of plant growth promoting rhizobacterial (PGPR) inoculation on growth and nitrogen incorporation of tissue-cultured Musa plantlets under nitrogen-free hydroponics condition. Australian Journal of Crop Science 4: 85-90. Urbanisation induces early flowering: evidence from Platanus acerifolia and Prunus cerasus. International Journal of Biometeorology 53:287-298. Peroxidase, phenolics, and antioxidative capacity of common mullein (Verbascum thapsus L.) grown in a zinc excess. Archives of Biological Science 60: 687-695. An efficient microbiological growth medium for screening phosphate solubilizing microorganisms. FEMS Microbiology Letters 170: 265-270. Canker stain of plane tree: a serious danger to urban plantings in Europe. Journal of Plant Pathology 81: 3-15. Role of Pseudomonas putida indoleacetic acid in development of the host plant root system. Applied and Environmental Microbiology 68: 3795-3801. Platanus x acerifolia genotypes surviving to inoculation with Ceratocystis platani (the agent of canker stain): first screening and molecular characterization. Euphytica 169: 1-17. Phytophthora cinnamomi causing stem canker and root rot of nursery grown Platanus × acerifolia: first report in the Northern emisphere. Phytopathologia Mediterranea 53: 75-82. Outcome of Ceratocystis platani inoculations in Platanus × acerifolia in relation to season and inoculum dose. iForest 9 (4): 608-617. Isolation, selection and characterization of root-associated growth promoting bacteria in Brazil Pine (Araucaria angustifolia). Microbiological Research 167: 69-78. Recultivation and sustainable development of coal mining in Kolubara Basin. Thermal Science 14: 759-772. Growth promoting effect of Azospirillum brasilense on Casuarina cunninghamiana Miq. seedlings. Plant and Soil 135: 121-124. Effect of inoculation with plant growth-promoting bacteria (PGPB) on amelioration of saline stress in maize (Zea mays). Applied Soil Ecology 61: 264-272. Soil science: methods and application. Longman Scientific and Technical, London, UK, pp. 350. Genome features of Pseudomonas putida LS46, a novel polyhydroxyalkanoate producer and its comparison with other P. putida strains. AMB Express 4: 1-18. Characterisation of phosphate solubilising bacteria in sandy loam soil under chickpea cropping system. Indian Journal of Microbiology 52: 167-173. Post-mining policies and practices in the Eastern USA coal region. International Journal of Coal Science and Technology 1: 135-151. The response of Betula pubescens to inoculation with an ectomycorrhizal fungus and a plant growth promoting bacterium is substrate-dependent. Ecological Engineering 81: 439-443. Disturbance ecology and symbiosis in mine-reclamation design. In: “Designing the Reclaimed Landscape” (Berger A ed). Taylor and Francis, UK, pp. 13-25. Ultraviolet-B component of sunlight stimulates photosynthesis and flavonoid accumulation in variegated Plectranthus coleoides leaves depending on background light. Plant, Cell and Environment 38: 968-979. Suppression of Botrytis cinerea sporulation on irradiated grape leaf tissues by the antagonistic bacterium Serratia liquefaciens. New Zealand Journal of Crop and Horticultural Science 26: 325-330. Phylogeny of the genus Pseudomonas: intrageneric structure reconstructed from the nucleotide sequences of gyrB and rpoD genes. Microbiology 146: 2385-2394.